My sister arrives today with her family after catching an early morning flight from Chicago. By the time I pick them up at the airport, they will be ready for dinner, mostly thanks to a 4+ hour flight and a two hour time difference. My young nieces will be anxious to stretch their legs after a long day of travel, so I opted to pack them a picnic dinner to enjoy at the beach in lieu of taking them to a restaurant where more sitting would be required. When I asked my sister what they might like me to pack for dinner, she said, “Nothing fancy. PB & J is fine.” I’m guessing that her strategy was to be as unfussy as possible in an attempt to make it easier on her sister who will spend the weekend hosting. It has been close to three years since my little sister has come to visit us on the West Coast, her life busy with raising children while working full-time. Therefore a “simple PB & J” was not going to cut it in my book, er, kitchen. 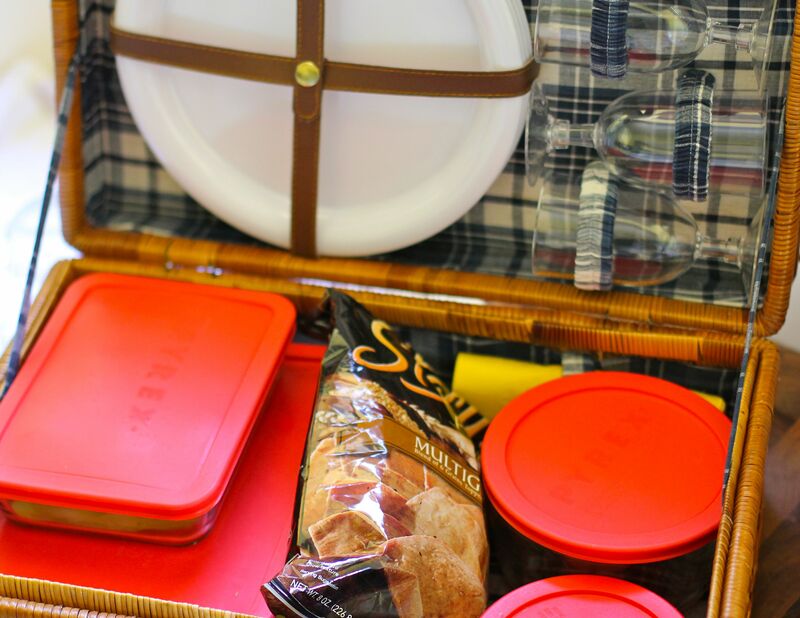 Packing a “fancy” picnic also felt silly, as this crew will undoubtedly be craving something healthy after a day of airport food, hungry for something familiar and comforting in a far-away land. Tonight we’ll dine on the beach and watch the sun set over the Pacific. The girls will run around and play in the sand, expending some energy before the last leg of their trip.